India is a country in South Asia. It is the seventh-largest country by geographical area, the second-most populous country with over 1.2 billion people. India consists of twenty-nine states and seven union territories. It is a home to 17.5 percent of the world's population. The first population census in British India was conducted in 1872. Since 1951, a census has been carried out every 10 years. The census in India is carried out by the Office of the Registrar General and Census Commissioner under the Ministry of Home Affairs, and is one of the largest administrative tasks conducted by a federal government. The latest population figures are based on data from the 2011 census of India. India has 641,000 inhabited villages and 72.2 percent of the total population reside in these rural areas. Of them 145,000 villages have population size of 500–999 persons; 130,000 villages have population size of 1000–1999 and 128,000 villages have population size of 200–499. There are 3,961 villages that have a population of 10,000 persons or more. India's 27.8 percent urban population lives in more than 5,100 towns and over 380 urban agglomerations. In the decade of 1991–2001, migration to major cities caused rapid increase in urban population. The number of Indians living in urban areas has grown by 31.2% between 1991 and 2001. Yet, in 2001, over 70% lived in rural areas. According to the 2011 census, there were 27 million-plus cities in India, with Mumbai, Delhi and Kolkata having populations over 10 million. There are 53 urban agglomerations in India with a population of 1 million or more as of 2011 against 35 in 2001. About 43 percent of the urban population of India lives in these cities. Kerala has added six new million-plus agglomerations in addition to Kochi, the only such area in 2001. The cities which are listed in bold are the capital of the respective state / union territory. ^ The population figures of cities in Kerala are inflated as the definition of urban agglomeration was revised in the 2011 census. The population of urban agglomerations in Kerala is not comparable with other cities in the country. ^ "States and union territories". Government of India (2001). Census of India. Archived from the original on 27 January 2011. Retrieved 31 January 2011. ^ a b "Area and population". Government of India (2001). Census of India. Archived from the original on 13 November 2013. Retrieved 26 October 2008. ^ "Census Organisation of India". Government of India (2001). Census of India. Archived from the original on 1 December 2008. Retrieved 31 January 2012. ^ "Brief history of census". Government of India (2001). Census of India. Archived from the original on 13 November 2013. Retrieved 31 January 2012. ^ a b "Census 2011 Provisional Population Totals" (PDF). The Hindu. Chennai, India. Archived (PDF) from the original on 3 November 2013. ^ "Urban Agglomerations (UAs) & towns". Government of India (2001). Census of India. Archived from the original on 13 November 2013. Retrieved 4 December 2008. ^ Shinde, Swati (13 September 2008). "Migration rate to city will dip". Times of India. Archived from the original on 11 January 2009. Retrieved 8 December 2008. ^ "Develop towns to stop migration to urban areas: economist". Chennai, India: Hindu. 3 December 2005. Archived from the original on 5 November 2013. Retrieved 8 December 2008. ^ a b Rukmini Shrinivasan; Hemali Chhapia. "Delhi topples Mumbai as maximum city". The Times of India. India: Bennett, Coleman & Co. Ltd. Archived from the original on 17 December 2014. Retrieved 7 February 2012. ^ "Urban Agglomerations/Cities having population 1 lakh and above" (PDF). Censusindia. The Registrar General & Census Commissioner, India. Archived (PDF) from the original on 13 November 2011. Retrieved 18 October 2011. ^ "How India's cities have grown and shrunk over the last 116 years". Archived from the original on 6 May 2017. 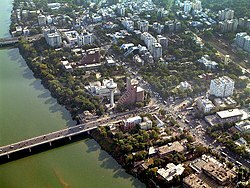 ^ a b "INDIA STATS : Million plus cities in India as per Census 2011". Press Information Bureau, Mumbai. National Informatics Centre (NIC). Archived from the original on 30 June 2015. Retrieved 7 February 2012. 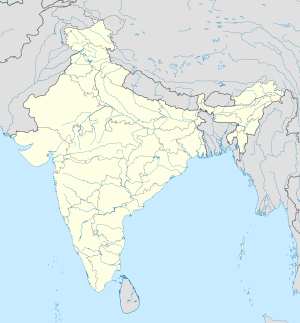 ^ "India: Major Agglomerations". .citypopulation.de. Archived from the original on 17 December 2014. Retrieved 14 December 2014. ^ Jafri, Syed Amin. "Time to put metropolitan planning committee in place". The Times of India. Retrieved 4 March 2019. ^ "STATISTICAL INFORMATION OF ULBs & UDAs in AP" (PDF). APCMDA. Retrieved 27 November 2017.